Opposite the Cathedral, we find Valencia’s Plaza de la Reina (the Queen’s Square). Officially inaugurated as Queen’s Square in the 1970’s Fallas festivity, its famous flowerbed is always surrounded by souvenir stands, some of the city’s most popular bars, and the Cathedral Complex. 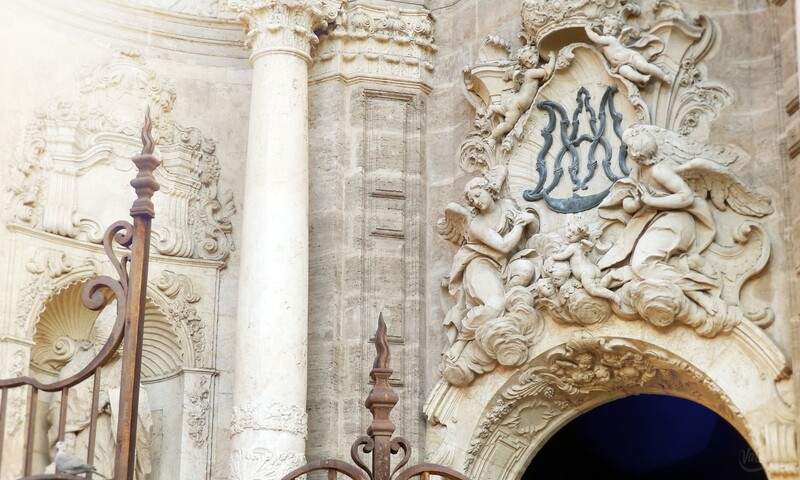 Even though many people think it’s the City Hall Square, Valencia’s kilometer zero is the Queen’s Square; the starting point for the city’s house numbering. Along with the one behind the Cathedral, the Virgin Square, it’s a great meeting point, because both are busy plazas but the Queen’s Square isn’t a pedestrian walkway, so it’s always full of people and automobiles. The Square is surrounded by bars and restaurants. But one of its most relevant features is its proximity to the city’s Cathedral complex.